See now this is why I adore Ariana Grande. She is just vocally amazing. 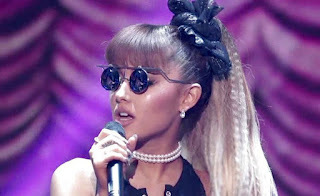 Ariana Grande paid honourable homage to Whitney Houston in an impressive medley of Whitney's hits on ABC’s Greatest Hits finale last night, performing renditions of, 'How Will I Know' and 'Queen of the Night.' Check it out below if you haven't already. Ah-mazing.